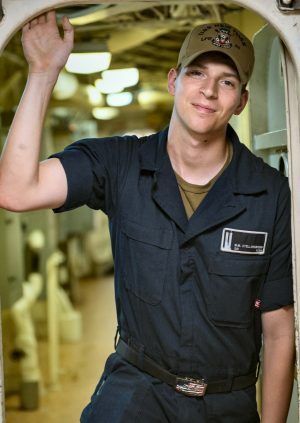 FULTON – Seaman Matthew Stellingwerf, from Fulton, NY, recently returned to Naval Station Mayport after a six-month deployment to the Middle East and Mediterranean area of operation aboard USS New York. The New York is a memorial to a horrific tragedy and spectacular heroism from the September 11, 2001, terrorist attacks. More than seven tons of reclaimed steel was integrated into the ship’s bow structure from the World Trade Center. Stellingwerf is an operations specialist aboard the amphibious transport dock ship, which takes Marines to the locations they need to support U.S. interests around the world.